Join us at the Central Coast Canna Day! Fully compliant banking solution for cannabis related business. AKBB Trading is an international provider of diversified services to the Cannabis and Hemp industries including banking, payments, lending and merchant services. Product Trading Services address raw materials, lab processed materials and finished products for both general consumer and health markets. AKBB Trading works in conjunction with industry partners ICS and C2. This event is supported locally by INOSOT – Dan Philpott and Michael Laroco. ICS – Integrated Compliance Solutions is THE COMPLETE SEED TO BANK SOLUTION. As one the leading cannabis banking compliance firms in the United States. ICS, working in partnership with C2 work with banks to provide you bank depositing and payment services. 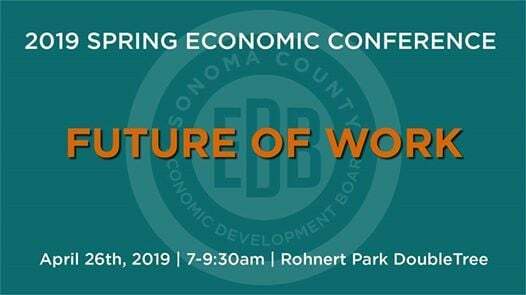 oin us for our annual spring conference focused on the “Future of Work” in Sonoma County as Keynote Speaker, Micah Weinberg, President of the Bay Area Council Economic Institute walks us through his research and perspective on regional and national workforce trends impacting our community. Micah leads the Bay Area Economic Council Institute, the leading think tank focused on the most critical economic and policy issues facing the nine-county Bay Area. He holds a doctoral degree in Political Science from the University of North Carolina at Chapel Hill, bringing expertise in a wide range of policy issues, including housing, transportation, workforce development, and healthcare. In addition to a workforce-focused outlook on the region, we will also be hosting a panel, moderated by Keith Woods, CEO of the North Coast Builders Exchange. Participants of the panel include principals from the local industries of construction, healthcare, manufacturing and hospitality. The panel will focus on how employers are addressing current workforce challenges and how they envision the future of their business with the advancement of technology and a thriving local economy. Join us for our annual Spring Economic Conference focused on the “Future of Work” in Sonoma County. In addition to a workforce-focused outlook on the region by a local economist, we will also be hosting a panel, moderated by Keith Woods, CEO of the North Coast Builders Exchange. Participants of the panel include principals from the local industries of construction, healthcare, manufacturing and hospitality. The panel will focus on how employers are addressing current workforce challenges and how they envision the future of their business with the advancement of technology and a thriving local economy. 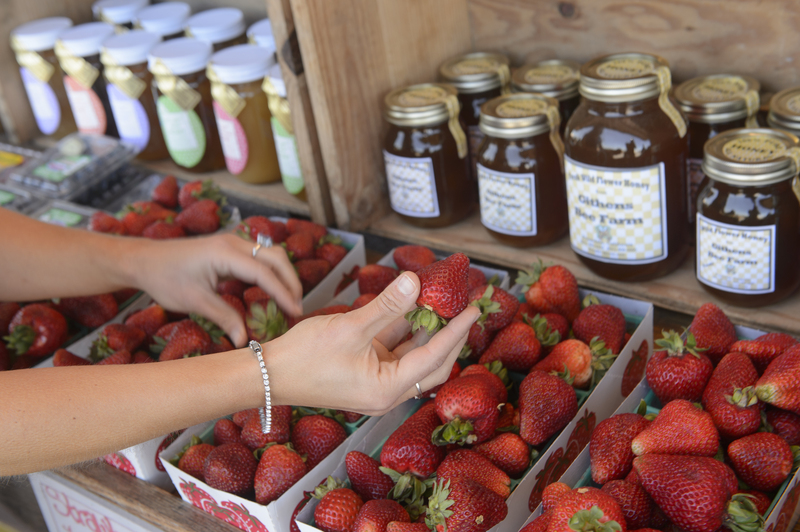 Marina’s Farmers’ Market is every Sunday from 10am to 2pm at 215 Reservation Road in the Marina Village Shopping Center (near Grocery Outlet and in front of Lee’s Garden. Step back to the early days of San Juan. Meet mountain men, Civil War soldiers, Victorian ladies, and more. Enjoy craft and cooking demonstrations. Enjoy an old-fashioned soda in the historic Plaza Hotel Saloon. See historic horse-drawn vehicles inside the Plaza Stables and Victorian furnishings in the Plaza Hotel and Zanetta family home. The Pacific Grove Certified Farmers’ Markets’ new location is Central and Grand Ave right in front of Jewell Park, the Natural History Museum, and the Pacific Grove Library. Join us for a full day of learning and networking in support of your small business growth and expansion! Free workshops in the areas of digital marketing, leadership, business development and much more. Our morning session will include active discussion with several business development experts. Breakfast and lunch is included. Parking is complimentary. Register today! Hosted by Atkinson, Andelson, Loya, Ruud & Romo (AALRR)has graciously offered to host this pre-conference event. Beverages and light snacks will be served in a private area on Wednesday evening. Join your fellow employers and EAC/CEAC members for networking and comradery before the conference begins. James W. Potts is a 35 year HR professional, Juris Doctorate, expert witness, LA Talk readio host, author, former Master Teacher and Reserve Captain with the Sheriff’s Department. He fights on behalf of employers in front of the EEOC, DFEH, DLSE, DOL, EDD, and other agencies. Mr. Potts has a B.A. in history and earned his Juris Doctorate from the University of West Los Angeles Law School. He is a certified mediator and expert witness specializing in employment law and workplace rights. Workshop Sessions – A total of 6 workshop sessions will be offered and 1 all day EAC Coordinator workshop. Attendees may select 3 workshops of their choice. Please indicate the workshops you would like to attend on the registration form when purchasing your conference. EAC Coordinators will attend an all day workshop. The California Employer Advisory Council (CEAC) Veterans Employer of the Year Awards recognize employers who consistently demonstrate positive policies toward U.S. Veterans in hiring and promotion, as well as through employee retention efforts, ongoing training, and benefits. Employer winners will be honored at the 2019 CEAC Conference during the CEAC Veterans Employer of the Year Awards ceremony. There have been several changes over the past year that you need to be aware of and understand. Hear about lessons learned from 2018 and employment compliance trends for 2019. Topics that will be highlighted include such topical trends as the compensation crisis, discrimination, new legislation and case law with practical applications to avoid potential penalties and employer liability in the coming year. The CEAC will recognize those nominees who were selected to receive recognition for Distinguished Service, Outstanding EAC Chair, Outstanding EAC Coordinator, Outstanding EAC, and Outstanding Veterans Committee. All nominees have made California and their community a better place as a result of their leadership, dedication, and hard work. The annual CEAC business meeting provides attendees with the opportunity to meet and interact with the CEAC Executive Board. This session will be presented by the CEAC President and the Executive Board. EACs or businesses may wish to participate in the CEAC Sponsorship Program and can make a donation to the CEAC at various sponsorship levels (see below) throughout the year. Sponsorships assist the CEAC financially and depending on the sponsorship level, EACs or businesses can receive up to four conference registrations for the annual conference. Bringing its multi-sectoral network of members and partners together, the Monterey Bay Economic Partnership is hosting its 5th Annual Regional Economic Summit on May 2, 2019, at the newly renovated Monterey Conference Center. Join 400+ leaders from across the tri-county region and beyond as we learn about important economic trends and compelling ways to grow and “recession-proof” your organization. Keynote Speaker Bruce Katz: Brookings Institute scholar, senior adviser to global leaders, and author, Bruce Katz, will be sharing insights from his book, “The New Localism,” to help our region design, finance and deliver transformative initiatives that promote inclusive and sustainable growth. 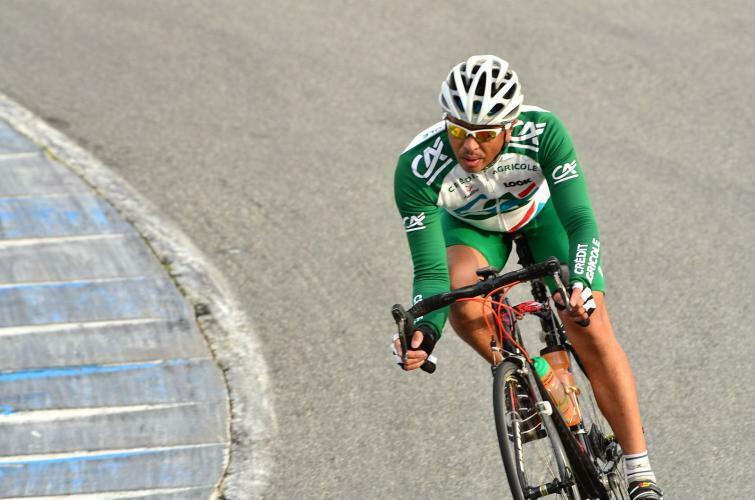 Startup Challenge 2019 – The Finale! Ocean-interested students and early career professionals: Please join us for a day of sharing ideas, learning new skills, and being inspired by local leaders in the marine science, policy, outreach, and management spaces! Submit an abstract for one of two different formats (standard, lightning). Talks can discuss your current research, projects, outreach, or recent professional experiences. We eagerly support talks which use non-traditional means of public speaking and encourage participants to present their work in engaging formats. Visit ARTIST-OWNED galleries and studios and meet the local artists who carry on the Carmel art colony legacy – support the arts and help preserve Carmel’s artistic heritage! This event is FREE and open to all ages. Pick up a map at any of the participating galleries and be sure to follow the blue lanterns during the walk (each participating gallery will have one displayed). View our online map at www.CarmelArtWalk.com.